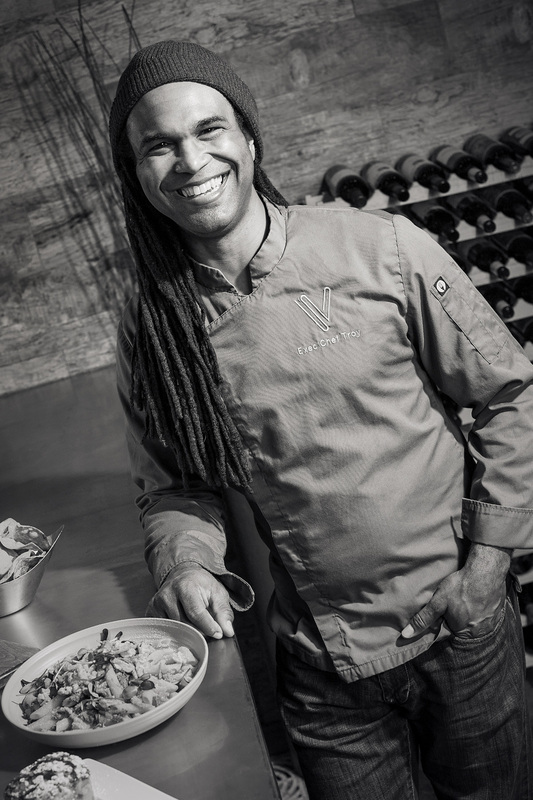 Troy Gardner does vegan comfort food and more at V-Eats in Trinity Groves. 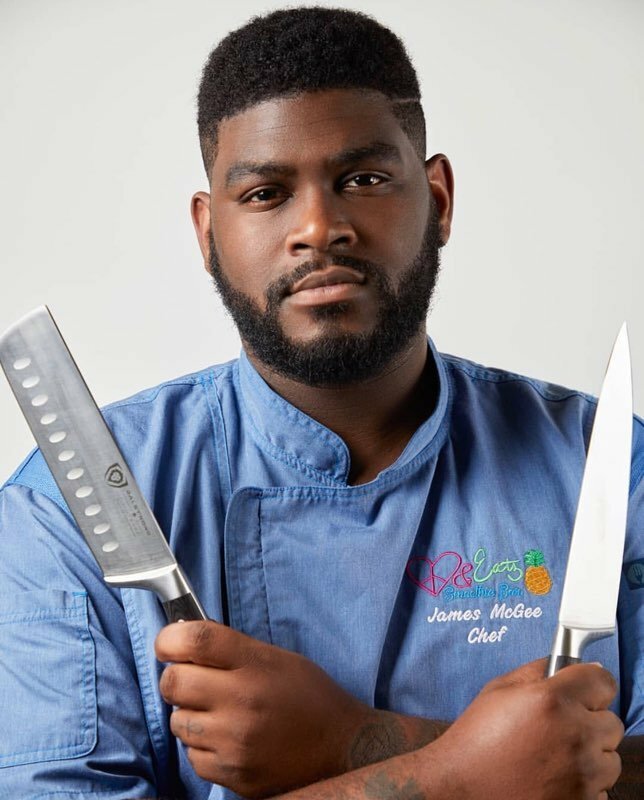 Chefs like Brandon Waller, Kay Pierce, Troy Gardner, and Cynthia Nevels are putting their stamp on the city's plant-based scene. Dallas is known for a lot of things. but when it comes to food, vegan cuisine doesn’t usually sit at the top of the list. Over the past few years, however, more people in the city have adopted the animal-free lifestyle, and a handful of restaurants and food trucks have popped up to serve them. You can’t help but notice that the majority of these vegan and vegetarian businesses are black-owned. It’s no coincidence: pre-colonial Africans historically relied on plant-based diets, and a new generation is taking note of the health benefits. Together, these local chefs are proving the options can be delicious. Jackfruit barbecue, anyone? Below, meet the vegan chefs who are revolutionizing our diets and the Dallas food scene. And if you’re hungry for more, D’s Kathy Wise will moderate a panel with the chefs on Tuesday, April 23. More on that here. 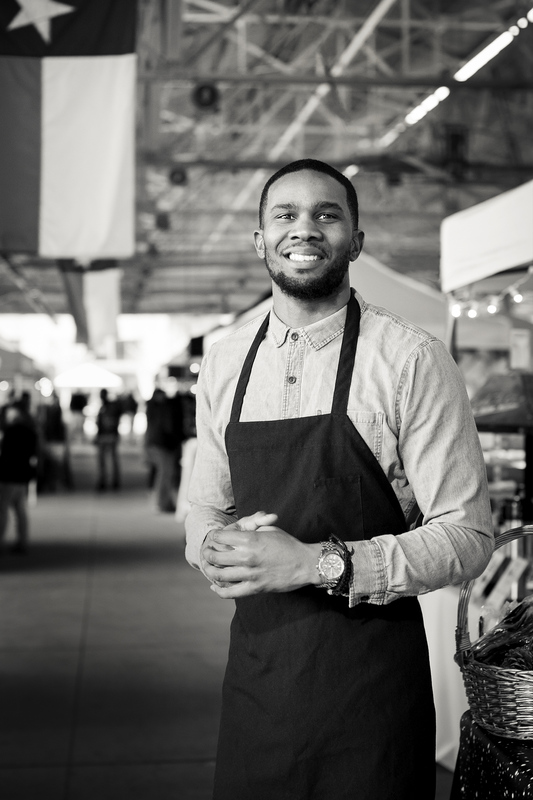 Brandon Waller, owner of Bam’s Vegan in the Dallas Farmers Market, is one of more than a half-dozen black chefs who are trying to lengthen lives by making a plant-based diet more attractive. The 6-foot-6 Waller knows how to make everything look good, from step-by-step YouTube videos showcasing his Chipotle Sage Tofu Crumble Nachos to Instagram pics of his Oyster Mushroom Po’Boy. Comfort food is key at V-Eats. Owner and chef Troy Gardner has built a cult following with his creations that almost seem too good to be vegan. The Trinity Groves hot spot is a saving grace for plant-based patrons looking to trick their taste buds. The former Samson’s Gourmet Hot Dogs owner caters to meaty cravings with his “Mid-Knife Crisis” portion of the menu, offering Country Fried Chick-non, Buffalo Mac n’ Cheese, and the Green Curry Chicki-changa. Years ago in culinary school, when chef Kay Pierce showed interest in specializing in vegan fare, her instructor insisted that it wouldn’t be a smart decision because “this is Texas.” Now, Pierce—who goes by the nom de cuisine SiriusVegan—does it for a living. 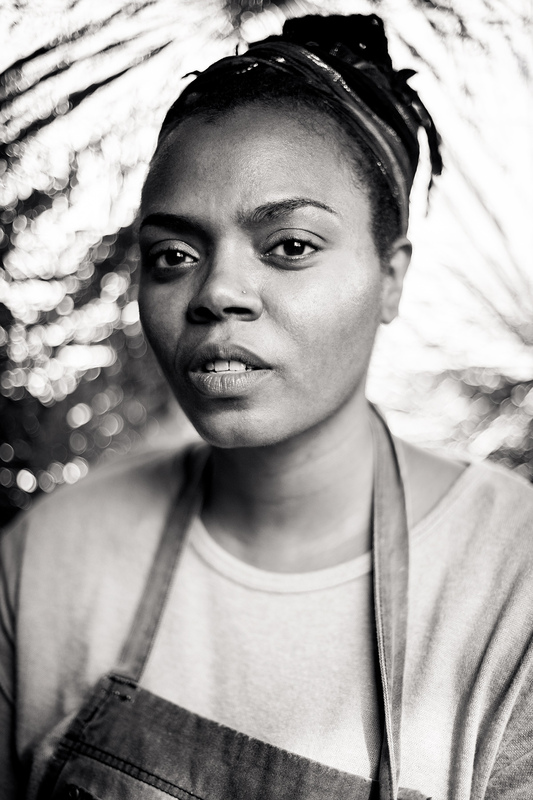 When she’s not cooking in the kitchens at both Recipe Oak Cliff and V-Eats, Pierce is participating in events and working as a private chef. Her latest eight-dinner series, titled “Eat Your Colors,” takes plant-based diners on a journey, eating foods associated with chakra points. The intimate experience is a ticketed event, taking place once a month. Known for her juices and wellness shots, Tisha Crear attracts all walks of life to Recipe Oak Cliff, her South Dallas space near the zoo, including longtime friend and known vegan Erykah Badu. The food she’s dishing out is as diverse as her customers, like her jackfruit sandwich topped with a slaw of purple cabbage, butternut squash, zucchini, and vegan mayonnaise, and served with a highly addictive green banana salad. When Jovan Cole made his way to Dallas from Pensacola, Florida, he figured the vegan market was ready to be infiltrated. “I know I could have came out here and made a killing doing ribs and things like that, but everybody is already doing it,” Cole says. 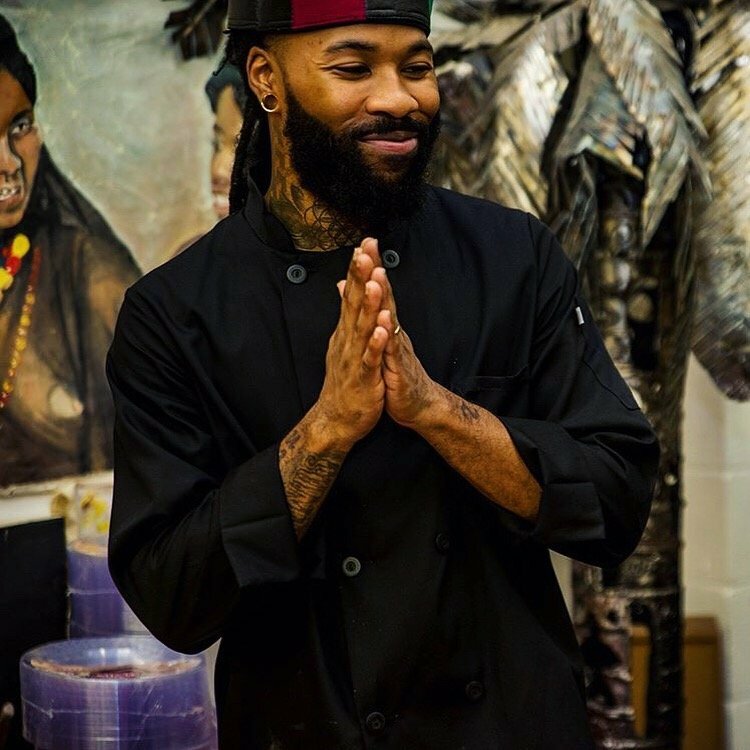 At his Vegan Vibrationz stand in the Dallas Farmers Market, Cole taps into a wide variety of cuisines, including Mexican, Italian, and soul food. Fans return for his black bean and jalapeño Mac Burger and five-layer vegan lasagna loaded with veggies, a homemade tomato basil sauce, and cashew ricotta cheese. “People thought I was crazy: ‘You’re going to start a what? In where?’ ” That was the common response Soulgood’s Cynthia Nevels received when she mentioned starting a vegan business. 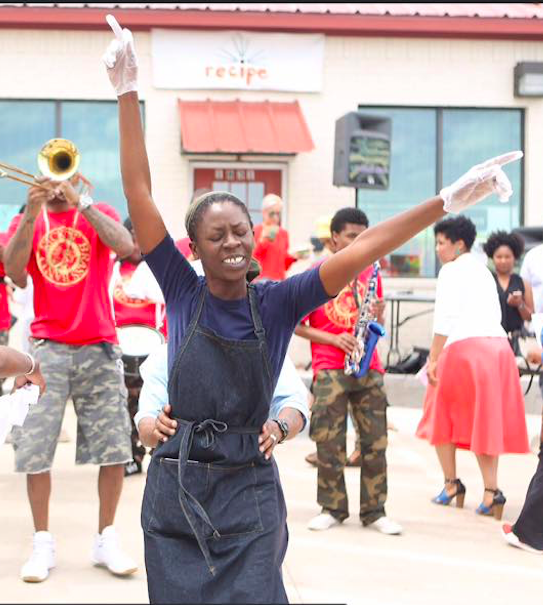 “But the numbers and the research I did told me, nope, this is where we’re going.” Nevels was inspired to start her vegan food truck and catering company after cooking plant-based meals for her youngest son, Tyler, who was receiving treatment for cystic fibrosis and waiting for an organ transplant in Houston. 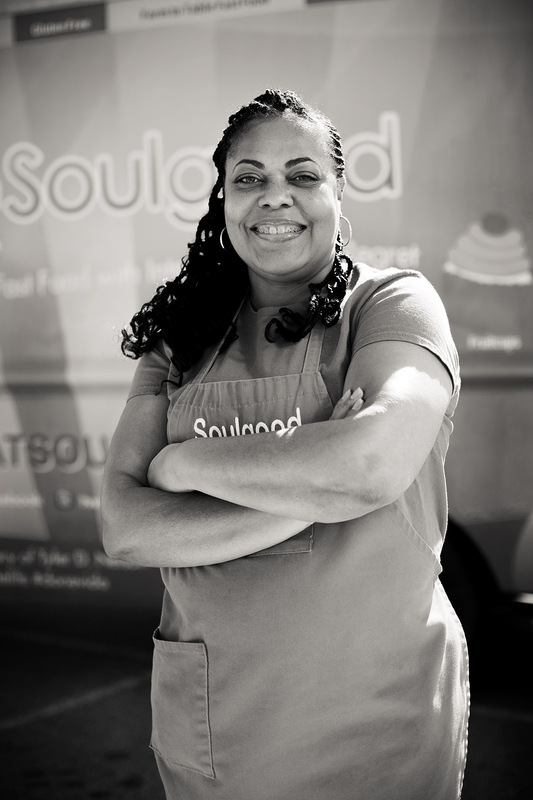 Before his death, she returned to Dallas and launched Soulgood, whose vegan and vegetarian fare includes breakfast dishes like peach cobbler pancakes and lunch and dinner items like the Vin Diezel Chili Dog, a soy protein wiener topped with vegan chili, sauerkraut, and sweet relish.